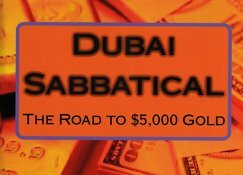 So much for the skeptics who greeted the publication of my book subtitled ‘The Road to $5,000 Gold’ as a signal that the gold market was topping out. Last night gold blasted through its previous high of $1,226 set last December, and is on its way very much higher. Without getting too self-congratulatory this is a moment to be humbled by this performance and assess the likely future outlook for the yellow metal, and its fellow traveler silver which is acting true to its volatile tradition and actually outperformed the latest rise in gold, a trend that will continue if history is any guide. Why buy precious metals now? So why are investors buying gold and silver now? Risk diversification in the face of mounting government debt levels around the world is the simple reason. Normally a flight to safety would mean buying government bonds but as government debt is at the heart of the economic problems of the world then logically buying government debt is a bad idea. You also do not need to be a hedge fund rocket scientist to understand the position in the bond market. Governments around the world have forced interest rates to artificially and unsustainably low levels to combat the global financial crisis. Low interest rates mean high bond prices. Ergo as soon as interest rates go up – as they will have to sooner or later – bond prices will fall. Hence if you want to keep your money out of bonds – and when bond markets correct it can be sudden, without warning and the fall dramatic – then precious metals and, or cash are your best option. The real kicker for gold, and even more for silver, is in the supply and demand position. Precious metals are in limited supply – that indeed is their great strength as a store of wealth – so once the shift out of bonds accelerates so will the price of gold and silver. Now government bond markets are far bigger than global stock markets while precious metals are amongst the smallest of major asset classes. Pouring this quantity of money into a very narrow precious metals market will send gold and silver prices through the roof. $5,000 an ounce for gold is a very conservative forecast under these circumstances.